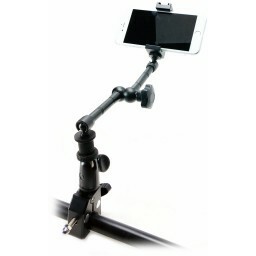 What is the best all metal iPhone Universal Smartphone Tripod Mount? So what are the best iPhone & Smartphone tripod mounts? There are a lot on the market but only a few are really any good. So why do you need one? Well Smartphones are not that great when it comes to 'camera shake'. A fast move left, right, up and down usually results in shaky footage that isn’t nice to watch. This is due to the fact Smartphones are light. 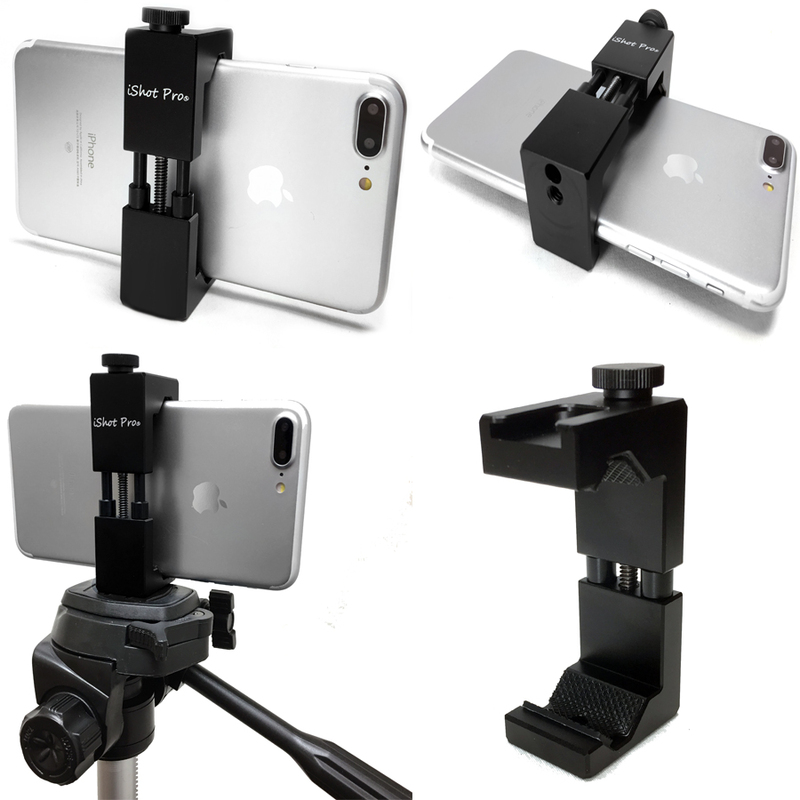 The only way to lessen potential shakes is to steady the Smartphone (as much as possible) and this needs some form of Tripod Mount, handheld, stabilizing cage or other apparatus; so you can attach it to a tigerpod flexipod, camera tripod, camera stabilizer rig or other to achive these great results. Yes, smarpthones have video and image stablizing software built-in, however it is still imperative to use another device for mounting and create that real professional look in your videos and in your photos. Most regular cameras have a ¼ inch screw mount on them so you can easily attach them to a tripod. Smartphones do not have such mounts; so to attach them to a tripod you will need a tripod mount. Due to the fact there are many shapes and sizes of Smartphone finding the right adaptor can be tricky. And finding a manufacture of one whom you can rely on, can also be a daunting task in this day-and-age. When you go shopping for a tripod mount you will find it difficult to find the right one. There is no doubt many are out there to choose from. 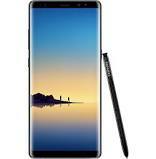 They're either too small to fit around the larger Smartphones or the build quality was absolute terrible and breaks easily due to cheap plastic. When you do find one you like make sure you check the dimensions of the tripod mount so it will fit comfortably around your Smartphone with or without a case. Also reason in that a Smartphone may have a case on and the thickness of that case so that the tripod mount can fit around all that too. Look no further! Our new SecureGRIP iPhone Universal Smartphone tripod mount is made of solid aluminium alloy, is incredibly robust and very secure. It is fully adaptable and will fit all models of iPhone and most other smartphones. 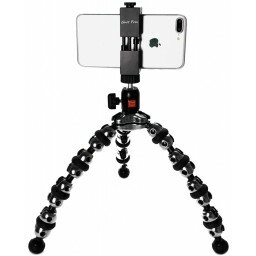 It has a ¼ inch screw socket at the base (and on the side) so you can mount it on to any standard tripod or other accessory that offers a ¼ inch screw and mount it in multiple orientations with the duel thread options. It also comes with a cold shoe mount on top; so you can add a microphone or a light above your phone if you need too. The SecureGRIP was exclusively launched on amazon stand-alone and with frequently purchased accessories (link to amazon) in a pre-emptive attempt to gain customer feedback/reviews about the new product before we fully launched it on our website. This has given us time to smooth over any fine details needed for a successful product launch. The SecureGRIP is of-course also sold here on our website with various frequently purchased accessories (link to our website) and more offerings will be available soon here on our wbesite. Check below for related products to this thread. 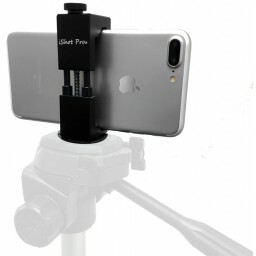 Posted by Blog - iShot Products, Inc.
0 Comments To "SecureGrip All Metal iPhone Universal Smartphone Tripod Mount"